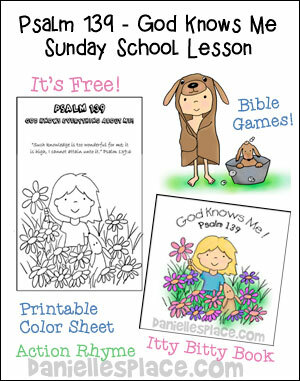 This lesson includes three crafts, three Bible lesson review games, printable Bible verse cards, and an interactive Bible lesson. 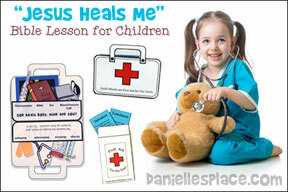 This lesson and hundreds of other lessons are available to members, or as an instant download for $3.95. 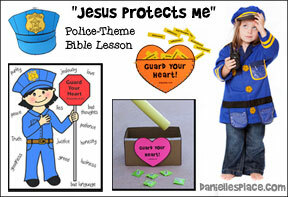 The instant download includes everything you see on this page - 22 printable pages. 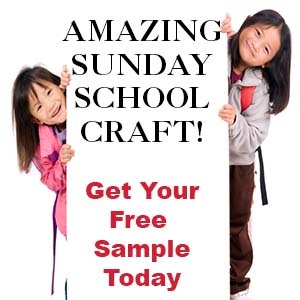 This craft can also be used during the Sunday School lesson. 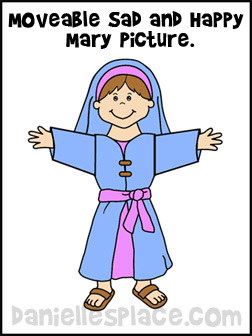 When the teacher says the word "sad" the children change the picture of Mary to the sad face, and when the teacher says the word "happy" the children change the face of Mary to the happy face. To play this game a child picks one of the faces that are visible when the paper game is closed. The teacher then spells out the word "sad" if the child picks a sad face, or happy if he picks a happy face. The teacher opens and closes one side of the game for each letter. The child then picks another picture that is visible on the inside of the game. 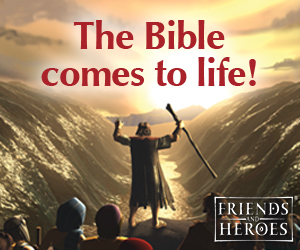 The teacher and children say one word of the memory verse each time the teacher opens or closes the game. The child picks another picture that is visible, and the teacher opens up the folded paper and reads what it says under that picture. The child should do what it says to do on the game. Before class print out the Three-in-a-Row Cards and the Teacher's Cards. Cut the Teacher's cards apart and place them in a bag. In class give each child a card. 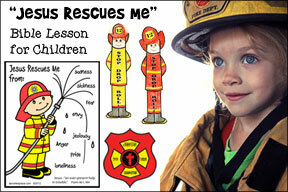 Provide markers such as button, fun foam shapes, coins, etc. for the children to use. Mix up the cards in the bag and have a child pull one out. 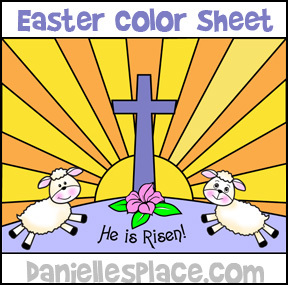 Show all the children the card and ask them if they know what the picture on the card has to do with Easter. If they don't know, give them a short explanation and then have them place a marker on their card over the picture if they have it. 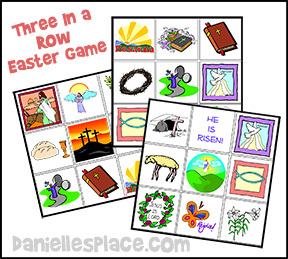 Keep playing until a child gets three makers in a row, diagonally, vertically, or horizontally. 1. Before class print out the Die Pattern on Page 22 onto card stock, cut it out and glue it together. 2. In class have your children sit in a circle and take turns throwing the die. If a happy face is face up, the child should say something happy that happened in the story. 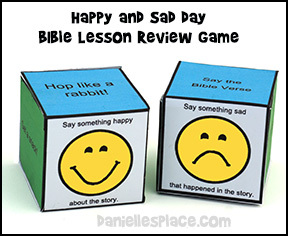 If a sad face lands face up, the child should say something happy that happened in the story. If a child rolls “hop like a rabbit”, he should get up an jump around. If child rolls “Get a snack”, give him his snack. Keep playing until all the children have received a snack.